What does it take to become a Salvation Army officer? 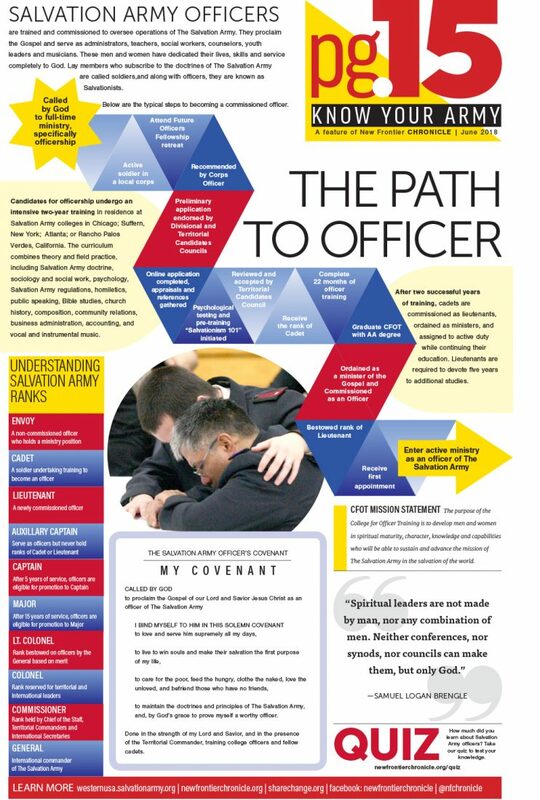 Below are the typical steps to becoming a commissioned officer. View the full-sized PDF version here. ← Previous Story How does The Salvation Army High Council work? When will the events of Commissioning 2018, be listed and the times?? I watch it every year…………….have tried to find and cannot locate. Thanks. Look out for an email we sent you. Will the commissioning service and appointments service be on SATV?